This document covers how to run a GPS-based State Mileage report for IFTA. The primary and preferred way to do this is through the GPS tracking platform. This uses point-by-point GPS to give the mileage by state for each vehicle that you select. Click on the large “REPORTS” tab and choose the “Downloads” submenu option. 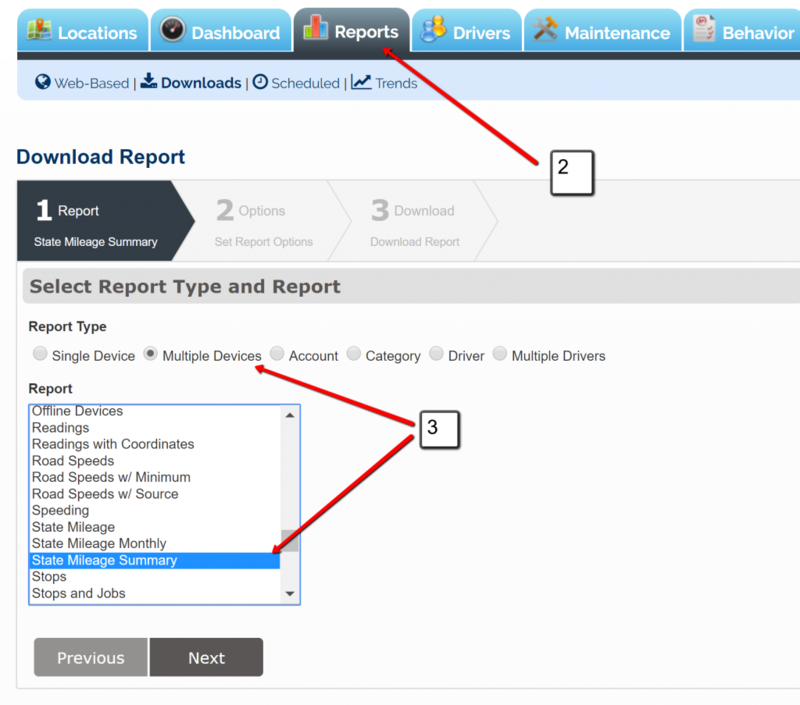 Select the report type as “Multiple Device” and scroll down to select the “State Mileage Summary” report. Select the vehicles that you would like to run this for. Select the date range for the quarter (Q1) and hit “Next”. One Ready, click the “Ready” button to download it to your computer. Please note, mileage is based on GPS tracking from the device in the vehicle. If this has been replaced or was not installed over the entire timeframe, then the report will be partial. If using a Pacific Track device, it is imperative that the driver connects to the equipment from the ELD app every time. If this is not the case, you will want to review the mileage closely or use an Odometer-based IFTA report based on what the driver has input on the ELD Driver app. Please note, mileage is based on the Odometer value that the driver has approved at each HOS transition using ELD. 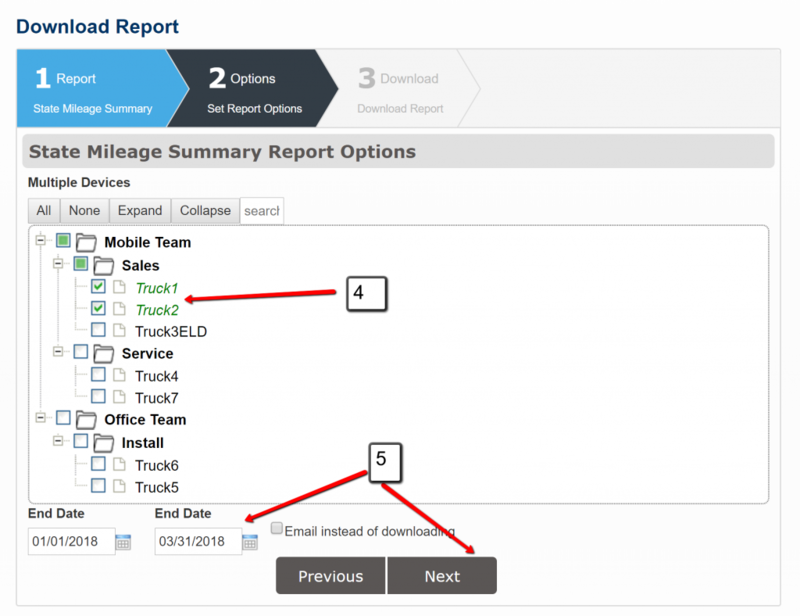 If the driver has not been using ELD accurately over the entire data range, then the report will be partial.